This is the lifestyle you've been dreaming of, the home is located on a quiet, shady lot in a neighborhood that has everything. You may never need to drive your car again! Just a few blocks walk (or quick golf cart trip) from banking, post office, medical facilities, a beautiful new grocery store, a variety boutiques, coffee shops and restaurants! A foodies dream come true with over a dozen restaurants within walking distance! Located off Augusta Road and zoned for award winning schools such as Augusta Circle, Hughes Academy and Greenville High. This home has a separate apartment at the ground floor level with walk out access and its own garage and entrance, it's a home you can grow into! Whether its a mother in law suite or you are thinking Airbnb this apartment is a real bonus to life off Augusta Road. 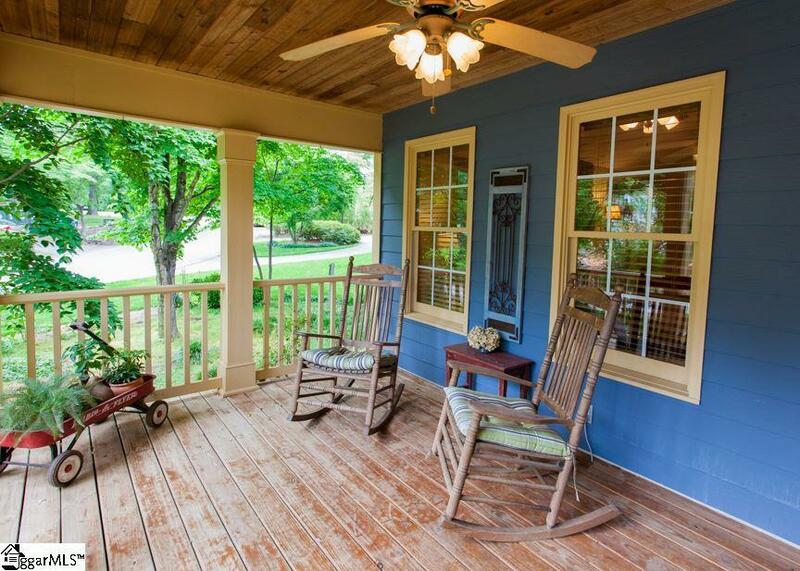 Enter the home from the beautiful front porch where you can enjoy your morning coffee while watching the world go by and walk into a cozy living room, with reclaimed oak columns from a local mill, a stacked stone fireplace and built in bookshelves. Head into the large kitchen with heart pine beams and an abundance of cabinets along with a breakfast area and you get the first glimpse of the large open back porch. This is where you eat al fresco or create a space for gardening or both! 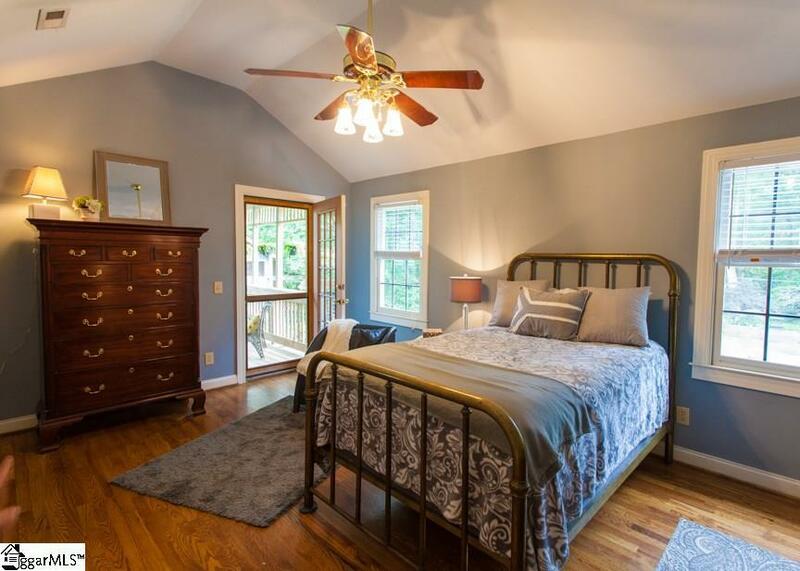 The master bedroom on the main level with 2 closets and another entrance to the porch will invite you to take a little extra time in the morning enjoying the SC weather. 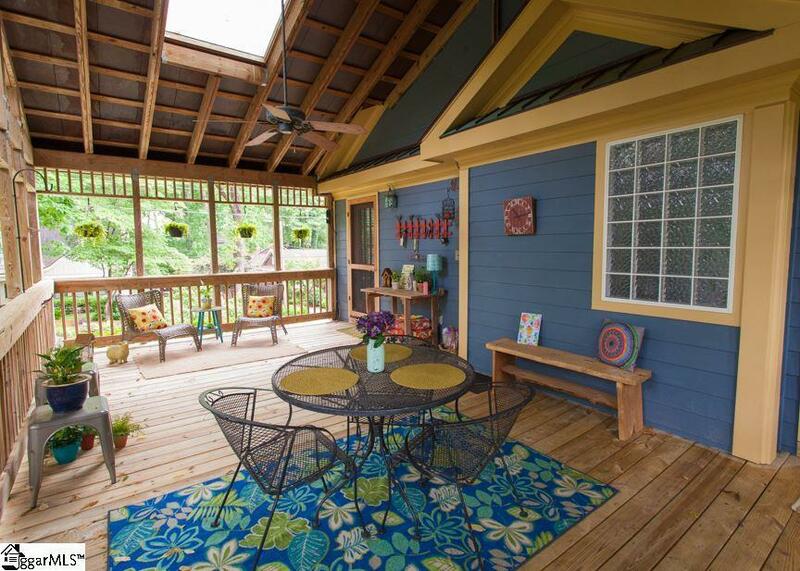 Two other bedrooms on the main level and 2 full baths along with an ample laundry room. Upstairs you will find another space that can be used as suite for a teenager or renovated to accommodate whatever your needs are. This space has a loft bed, plenty of storage and a bath ready to house a slipper or claw foot tub. Most of the main level windows are covered with UV protection to help keep the summer heat out and the Winter warmth in. There is a beautiful stained glass window on the top level and a slate roof and playhouse. It also has copper gutters and a patio roof. If you enjoy all that downtown Greenville has to offer, but hate trying to find parking? Then walk a couple blocks to catch the free trolley! Enjoy cycling and frequent the Swamp Rabbit Trail? Then take advantage & hop on the Augusta Street Bike Blvd. that winds through the neighborhood. 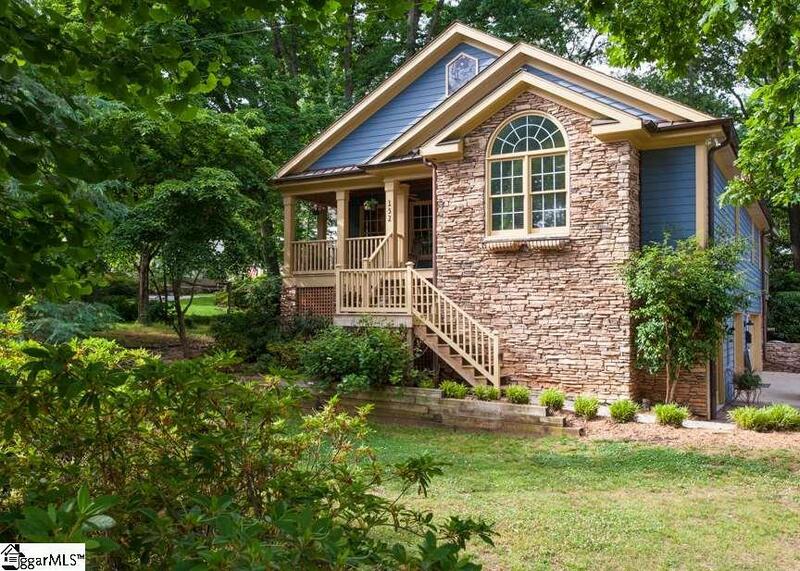 No expense has been spared with the gorgeous home in the heart of all that makes Greenville the place to be! Call now to schedule a tour of this unique home located in the one of the friendliest and most convenient neighborhoods in Greenville-Aberdeen Village. Listing provided courtesy of Karla Alvarez of Coldwell Banker Caine/Williams.